When you need to slow down from the everyday hectic pace, grab a breather and an unforgettable dining experience in the warm ambiance of Dana's Rusty Anchor. Our mouth-watering seafood, slow cooked steak, and panoramic view overlooking Lake Champlain and Valcour keep our patrons returning week after week. But a visit to Dana's goes beyond that. We believe that every evening, our staff can turn a good night into a great one. 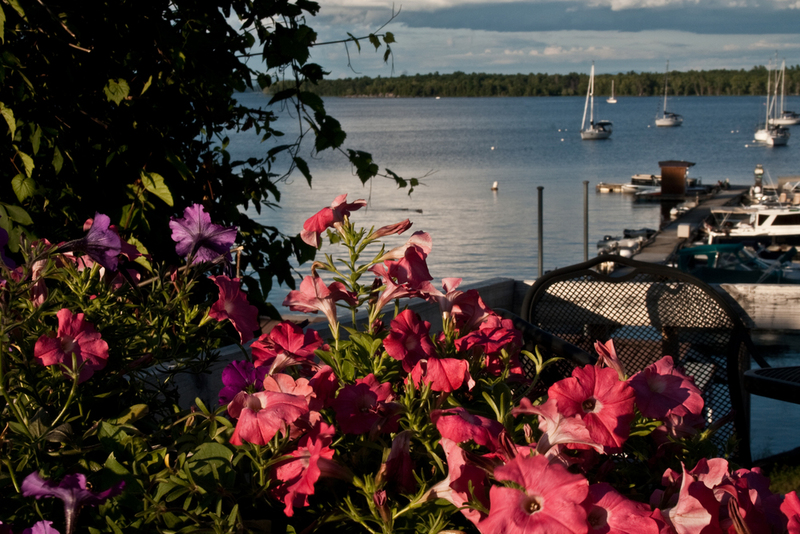 Whether it's ensuring your Valcour Sirloin Tips are cooked to perfection, bringing in live music for the ideal soundtrack to a spectacular lake sunset, or visiting with Dana himself, there's no experience in Plattsburgh quite like it. So bring your friends and try one of our nightly specials like the Icelandic Haddock. Whether you park by car or boat, you're sure to leave in great spirits. Life's just better by the lake. Fresh filet stuffed with crabmeat, scallops & topped with lobster sauce. Dana's one of a kind creation! Large chunks of lobster topped with our Anchor's special crabmeat stuffing and baked to perfection. 1/2 lb Angus and short rib burger grilled to your liking, lettuce, tomato, served on a brioche roll. Add cheese, bacon, sauteed onions, and/or mushrooms for 1 dollar each. Try our special coffee drinks from around the world! Stags Leap Cabernet Sauvignon "Artemis"
Large chunks of Maine Lobster mixed in mayo on a bed of lettuce on a hot dog roll. Click map image above to receive google directions from your location. Location: Dana's Rusty Anchor is located at 4016 Rt. 9 South in Plattsburgh, New York. Like us on FB! Keep up wth the latest events!